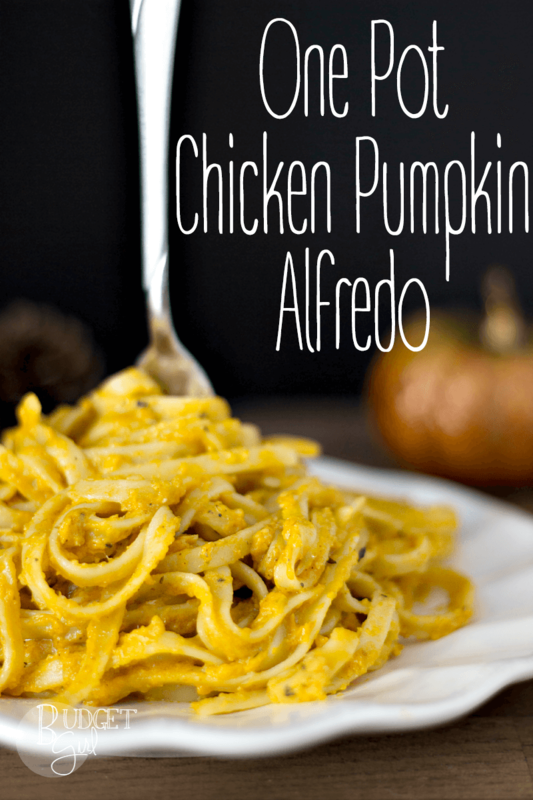 One Pot Chicken Pumpkin Alfredo is an savory fall recipe that requires very little effort. One of the reasons I enjoy doing this “month of pumpkin” thing is because it forces me to come up with new ideas and try new things that I otherwise wouldn’t. The one thing I’ve learned since starting this series two years ago is that pumpkin is incredibly versatile. It makes for great desserts, but my waistline can’t handle a whole month of sweets. So discovering new ways to add it to our dinners is a fun little challenge. 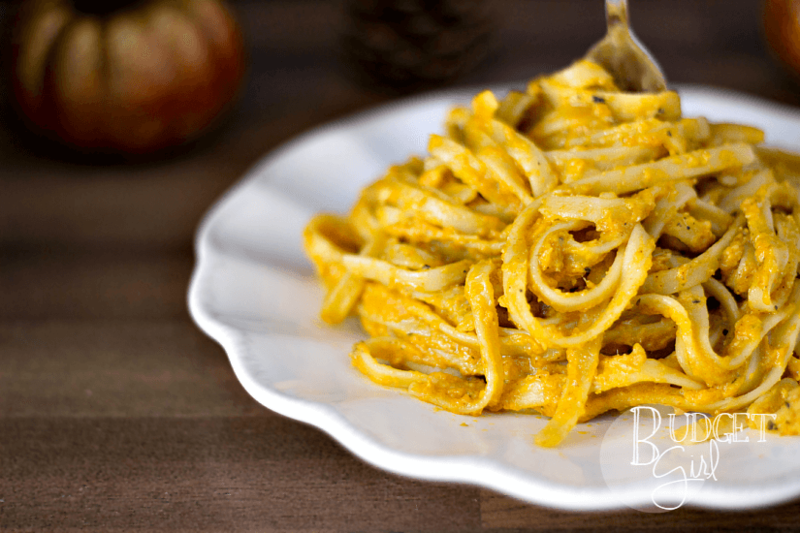 While I was planning this month’s posts, I thought, “What if I made a pumpkin alfredo sauce?” I love pumpkin pasta sauces, so this seemed like a great plan. Then I remembered one of my favorite dishes from Cook Craft Love: One Pot Creamy Chicken Alfredo. It’s made in one pot so it speaks to my inner lazy person. And why come up with a whole alfredo recipe when I have one I love just sitting there? Using her recipe as a base, I managed to create something wonderful. Step 01: Pour the olive oil into your pot and cook until brown and no longer pink in the middle. You can cook the chicken and then cut it (how I prefer it) or cut it and then cook it. Step 02: Add the chicken broth, heavy cream, pumpkin, and seasonings. Bring to a boil. Step 03: Once the liquid is boiling, add your pasta and cook according to the directions on the back. Step 04: Let stand for 5-10 minutes, or until sauce is has thickened. 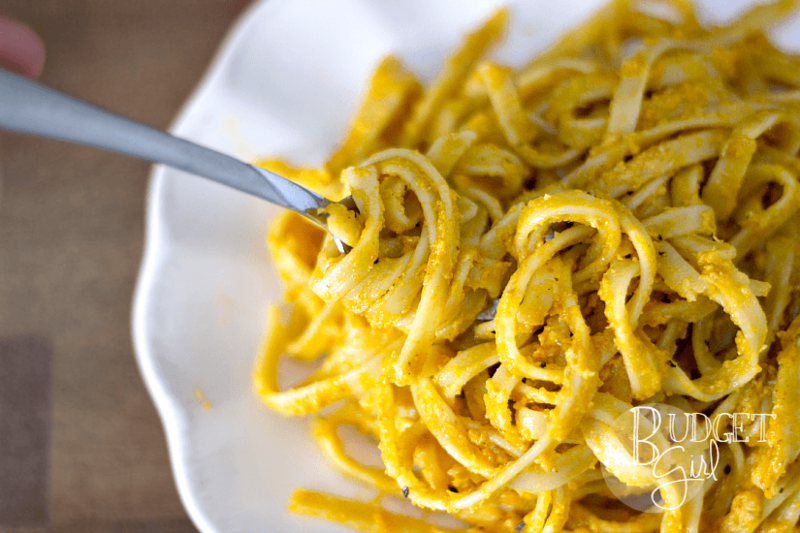 Add Parmesan and enjoy! As for this recipe, it was fantastic. I actually prefer more garlic, but this is a nice amount without it being what some might call overwhelming. 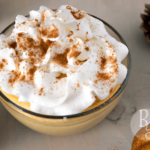 The pumpkin added a nice flavor and texture. The cinnamon was barely noticeable, but I can’t decide if that’s a good thing or not. I would hesitate to add more cinnamon to this. 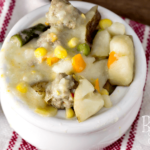 If you’re looking for a great, easy fall recipe, this is it! 1: Pour the olive oil into your pot and cook until brown and no longer pink in the middle. You can cook the chicken and then cut it (how I prefer it) or cut it and then cook it. 2: Add the chicken broth, heavy cream, pumpkin, and seasonings. Bring to a boil. 3: Once the liquid is boiling, add your pasta and cook according to the directions on the back. 4: Let stand for 5-10 minutes, or until sauce is has thickened. 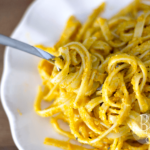 Add Parmesan and enjoy! Yummmmy!!! 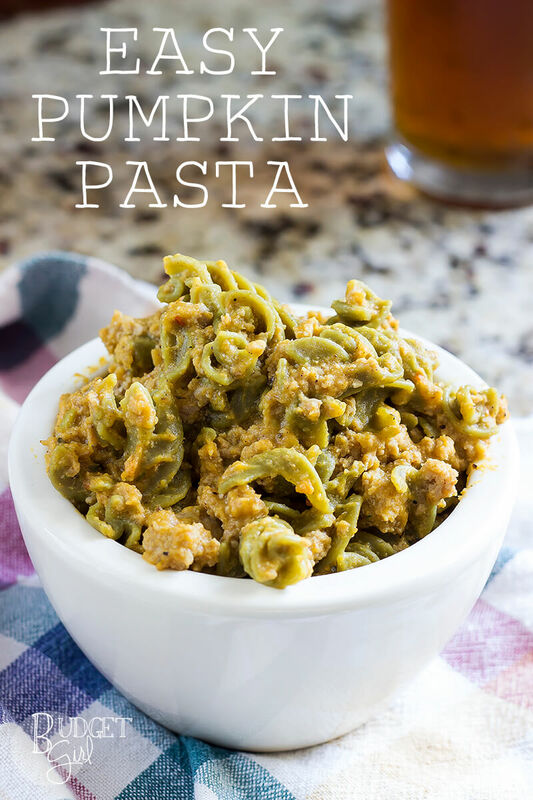 This looks amazing, I love the pumpkin twist! I’m so dying to try this! I wish my hubby liked pumpkin flavor. 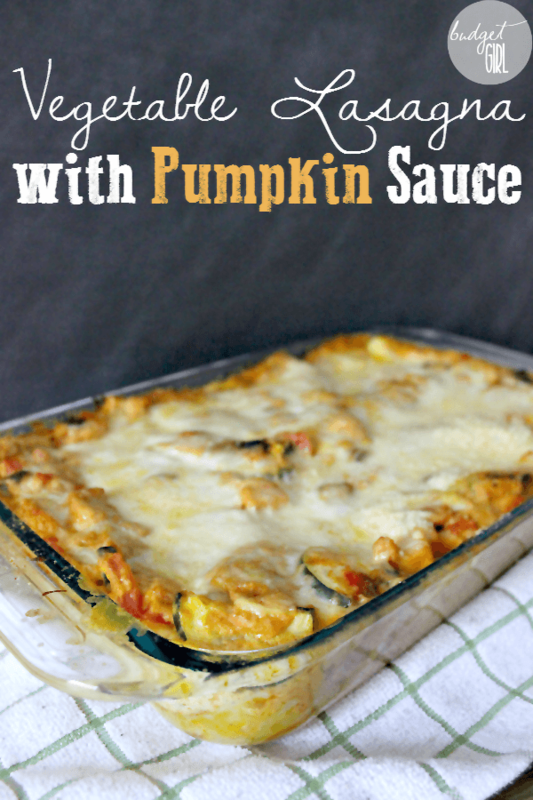 I’ve never considered pumpkin and garlic together! Wow! This looks so good. I just wanted to let you know that it’s being featured at this week’s link party!